Bharani is an Indian film actor, best known for his works in Tamil Cinema. He was shot to fame after his appearance in debut Tamil film Kalloori caught the attention of the movie lovers. Bharani has appeared in comedy roles in several Tamil films who have also participated in a reality game show called Achcham Thavir. He is also a participant of Bigg Boss Tamil reality show, hosted by filmmaker and actor Kamal Haasan. Check out Bharani Biography, Wiki, Personal life, Family, Movies, and Recent Events. Born on March 20, 1982 in Paramakudi, Ramanathapuram, Tamil Nadu, Bharani spent his childhood and teenage in and around Ramanathapuram. He did schooling in a Christian Missionary School and subsequently completed his graduation in an arts college in Ramanathapuram. Having desperate to get into acting, Bharani got a break in a 2007 Tamil movie Kalloori as a comedian alongside Akhil and Tamannaah in the lead roles. The film was directed by Balaji Sakthivel. His performance in the film received both critically acclaims and positive reviews, earned him several offers in Tamil movies. Bharani went on to appear in several Tamil movies in supporting roles, including Thoonga Nagaram, Naadodigal, Kannakol and Vetrivel among others. Director Samuthirakani’s ‘Naadodigal’ was a notable breakthrough in his film career whose performance in the film was highly lauded and created a huge buzz amongst movie lovers. The film featured Sasikumar in the lead role. Bharani has also participated in a TV stunt reality game show called Achchan Thavir, based on the U.S. TV series Survivor. The game show aired on Vijay TV in 2016. He caught into several controversies during the show. His favourite actress in Tamil cinema is Revathi. He is currently participating in Vijay TV reality show Bigg Boss Tamil, hosted by actor Kamal Haasan, who is one of the 15 contestants. The conflict between him and Ganja Karuppu was the highlight of the show. 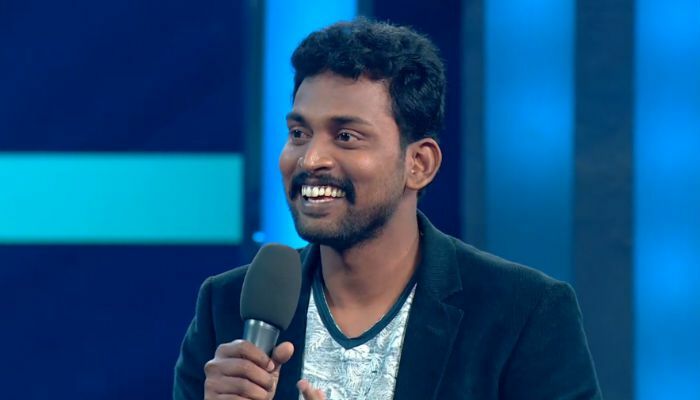 In the latest development, Bharani has been expelled from the show on its 15th day for violating the show’s rules.